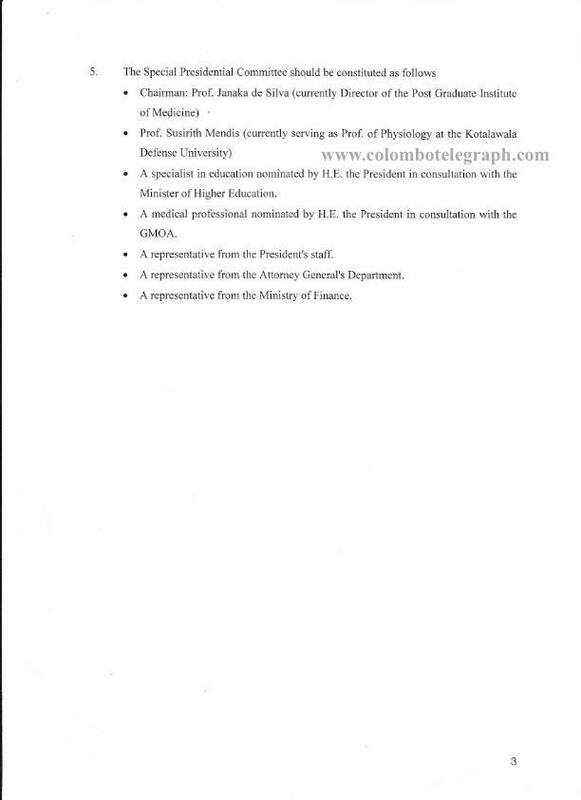 Even though Prof. Carlo Fonseka is now against the SAITM and private medical education and he actively participated in many anti-SAITM and private medical education protests recently, under the Rajapaksa regime he wasn’t against them according to a leaked letter written by him to the former President Mahinda Rajapaksa. 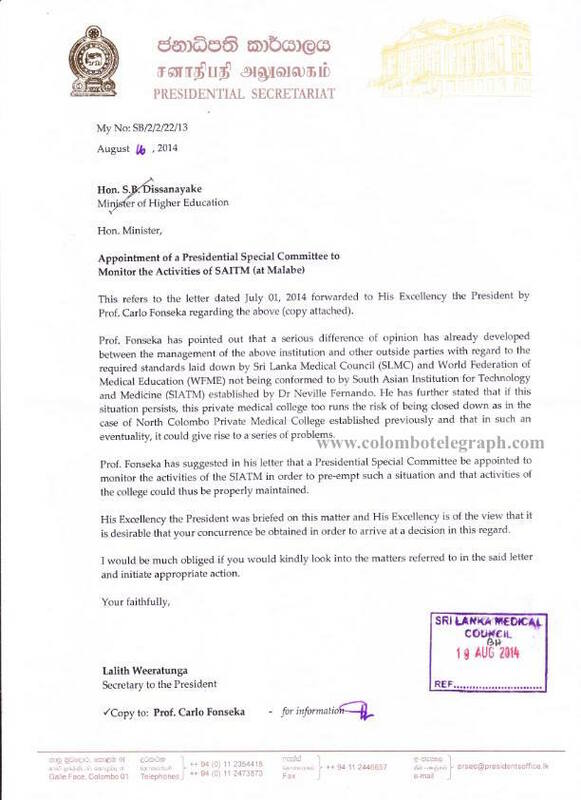 In a letter dated July 10, 2014 Prof. Fonseka wrote to Mahinda Rajapaksa: As I briefly told you during our telephone conversation recently, Dr. Neville Fernando’s enterprise called the South Asian Institution for Technology and Medicine (SAITM) at Malabe appears to be pursuing a course of activities which is almost certain to precipitate sooner or later a major crisis in the country. Dealing with this crisis will stretch government’s disaster management skills to breaking-point. For one thing, the crisis will seriously compromise Your Excellency’s vision of making Sri Lanka an education hub in South Asia”. (see the letters below). 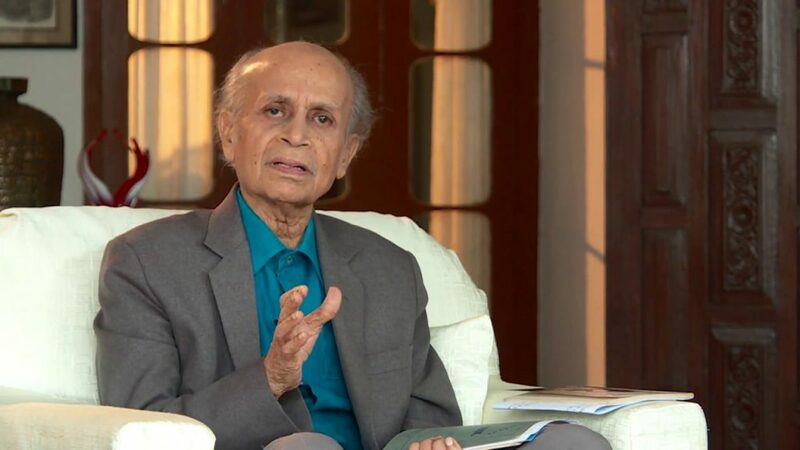 Then he correctly predicted the present crisis, and went onto suggest to appoint a Special Presidential Committee, with the powers of a Presidential Task Force, to monitor SAITM activities. The issue is really SAITM. We should consider all views, independently of the source. Personalities and their positions enter the picture after we sort out the central issues. But what we see is a case for SAITM being built on personal attacks and attacks on organizations opposed to it. Even if each supporter of SAITM is lily while and each critic as dark as a starless new-moon night sky, the merits of SAITM have to be discussed based on facts. Just because good people recommend something, it does not become good and, equally, it does not become bad because bad people recommend it. It is time to stop all free education in SL, EXCEPT for the needy. This will bring dignity in education, instead of constant barrage of strikes by students at tax-payers expenses. Where politicians get involved, disaster invariably follows. So, let us take the education away from government hands. SAITM is one of many med. schools which was to be monitored according to medical ordinance, with recommendations to improve until final MBBS. 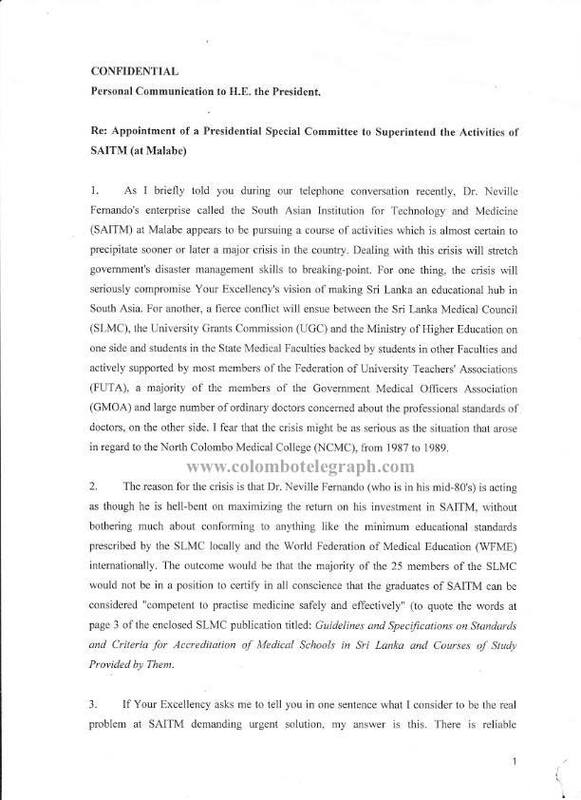 SLMC monitoring with accountability under a ministry so as not to cause harm to students, is different from SLMC dictatorship in connivance with GMOA and student trade unions with political ideology and agenda to topple govt. as well as monopolise for financial gain. GMC in UK visits many times to monitor. SLMC report is more than 2 years now, biased and malicious compared to KDU. Rajarata and Eastern med. schools are grossly lacking in many aspects but receive automatic registration without any SLMC obstacle. State, KDU and SAITM all under UGC, but SLMC violation of ordinance was noted in the verdict of courts which allowed SAITM MBBS to receive internship training. SLMC must monitor academic aspects, not falsely accuse about 938 students in 2012, and know difference between income and profit. SAITM issue is going to take dramatic turn. 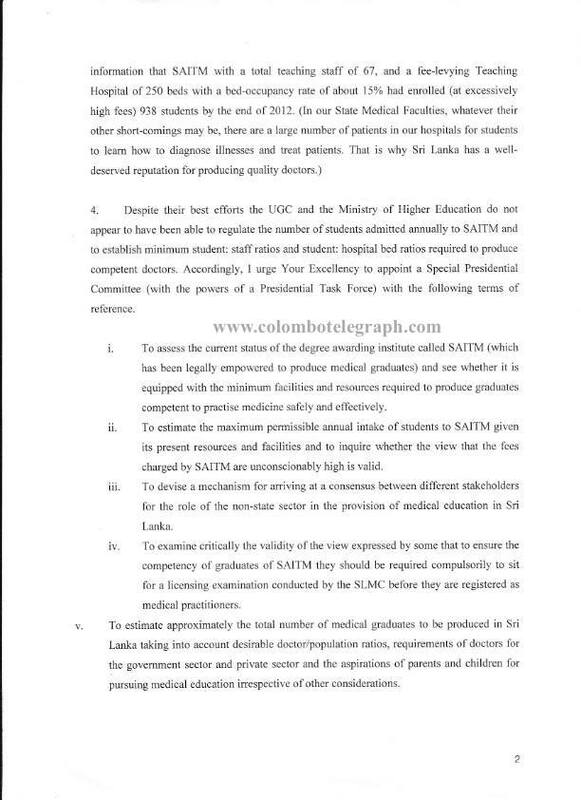 There are new evidence cropping up regarding SAITM. The chap behind governments move is Pro Mohan de silva, UGC chairman. He persuaded the health minister to take over NFH. He has nothing to do with the Health Ministry. but he was in the forefront of takeover. Why???? he is appearently a nice man?????????? Mohan de silva’ s son-in-law’s father is the director of SLIT. SLIT is suppose to take over SAITM. Our politicians fooled by Mohan de silva, medical students are fooled by Mohan de silva and GMOA is also fooled by Mohan de silva.